Democrats in the Texas House are bullish ahead of Election Day. They’re bullish that their 55-member caucus will pick up anywhere from a handful to a dozen seats. They’re bullish that their members will be unified heading into the 2019 legislative session. And they’re bullish that, despite their minority status, they can still play an influential role in electing the next speaker of the Texas House. “I believe — and our caucus believes — that the next House speaker will be elected with bipartisan support,” said state Rep. Chris Turner of Grand Prairie, chair of the House Democratic Caucus. But Election Day is still a few weeks away — and, as Republicans try to hold onto their 95-seat majority, Democrats see far more pick up opportunities than potential losses in a midterm year that seems poised to favor their party. 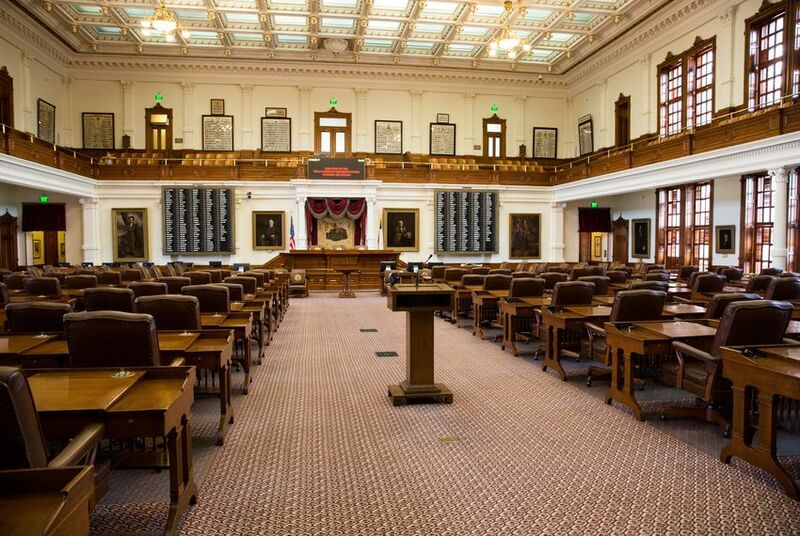 The Texas House will select its next speaker on the first day of the legislative session in January. Joe Straus, a San Antonio Republican who has served as speaker since 2009, opted to not run for re-election. There are currently seven members officially running to be the next speaker, plus others who have privately expressed interest in the job. The winner will be whoever can draw the support of any 76 House members, regardless of their party affiliation. After the November elections, the GOP caucus is scheduled to hold a Dec. 1 meeting to decide the group’s preferred pick for speaker — a move, some Republican members predict, that will effectively determine who the next leader will be. Other GOP members, meanwhile, including some official speaker candidates, aren’t entirely dismissing the notion that support from Democrats could push them over the 76-vote threshold needed to succeed Straus on the House dais. Earlier this month, state Rep. Travis Clardy, a Nacogdoches Republican who officially launched his speaker bid in August, dismissed the notion that the GOP caucus would exclusively select the next speaker “with no regard or care to what the Democrats want” as “a losing scenario for the state of Texas.” He said the same rang true if “all the Democrats and a handful of rogue Republicans” were to pick the chamber’s next leader. Another official Republican speaker candidate, state Rep. John Zerwas of Richmond, has said he's campaigning with a similar outlook. As Republican members prepare for their caucus meeting later this year, they say they’re weighing a number of factors in regards to coalescing behind a candidate to replace Straus. One factor on some members’ minds: Backing someone who can not only unify Republicans, but that Democrats will accept with the least protest. “I'm really just focused on the caucus process we're working on, the Republicans coming up with a candidate and getting behind that candidate — whoever he or she will be — and hopefully being able to convince Democrats as well that that's a solid candidate for the entire Texas House,” state Rep. Ron Simmons, a Carrollton Republican who has been on the shortlist of potential speaker candidates, previously told The Texas Tribune. Democrats have played a pivotal role in electing most of the past House speakers. Before Republicans won enough seats to control the Texas House in 2002, Democrats dominated the chamber for decades. In the final weeks of the 2007 legislative session, a horde of members staged an uprising against then-House Speaker Tom Craddick, R-Midland. Ahead of the 2009 session, they ultimately helped clinch a majority of the House to coalesce behind Straus, including most of the chamber's Democrats — who, in 2008, had a 74-member caucus — and a small group of Republicans. Craddick gave up his bid for another term as speaker. Along with Clardy and Zerwas, there are another four official GOP candidates for speaker — state Reps. Drew Darby of San Angelo, Tan Parker of Flower Mound, Phil King of Weatherford and Four Price of Amarillo — along with state Rep. Eric Johnson, D-Dallas. More are likely to enter the race. So far, Democrats have been busy largely behind the scenes. A committee of House Democrats led by veteran state Rep. Senfronia Thompson of Houston concluded private meetings last month with all seven official speaker candidates. The caucus is set to hold another meeting immediately following Election Day. Still, most Democrats are split on what they want out of the next leader of the lower chamber. Some say they’re pushing for a replica of Straus — a Republican aligned with the more centrist faction of the GOP who is willing to push back against some of the more controversial policy measures supported by Gov. Greg Abbott or Lt. Gov. Dan Patrick. Others are hoping the next House speaker can shake up the status quo. Yet geographic and ethnic loyalties within the chamber's Democrats — such as a bloc of African-American Democrats and another that represent areas along the Texas-Mexico border — have played a role in the past in the speaker selection process and are likely to do so again. And a recently announced challenge to Turner’s role as chair of the House Democratic Caucus has prompted additional questions of whether Democrats will be able to unify around a single speaker contender — or break off into factions supporting different candidates. To be clear, there are questions over unity within the Republican caucus as well. For one, the hard-line conservative Texas House Freedom Caucus, a 12-member bloc, has long challenged some of the more moderate party members and spearheaded the effort to select a speaker candidate within the caucus ahead of the full floor vote. Other members, meanwhile, have dismissed efforts by the state party to have every House Republican sign a form committing to supporting whoever the caucus backs for the job. Most recently, a group of Republican House members aligned with the more moderate wing of the party privately met and agreed on three internal GOP candidates — state Reps. Morgan Meyer of Dallas, Dade Phelan of Beaumont and DeWayne Burns of Cleburne — that they plan to offer up to the rest of their caucus as viable speaker candidates. The move, they say, is aimed to unify all different groups within the GOP caucus.